Vanessa Sielert is Director and Associate Professor at the Lionel Hampton School of Music at the University of Idaho. She received a Bachelor of Music in music education and saxophone performance from the University of Idaho, a Master of Music in Saxophone Performance from Baylor University and a Doctor of Musical Arts in saxophone performance from the University of Illinois. She hasstudied saxophone with Robert Miller, Michael Jacobson and Debra Richtmeyer. Vanessa has performed with a wide range of performing groups incuding the Palouse Jazz Project, the Emerald City Jazz Orchestra, the Tacoma Symphony Orchestra, the Spokane Symphony, and the Civic Orchestra of Chicago. She has performed as a soloist and quartet member at numerous conferences of the North American Saxophone Alliance and at meetings of the World Saxophone Congress. 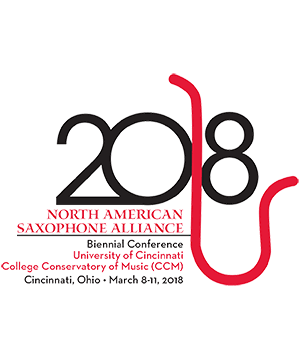 As an advocate of new music, she has commissioned many compositions for saxophone, including two to be premiered at this conference. Catherine Anderson Piano A native of Walla Walla, Washington, Catherine Anderson has lived in the Palouse region for most of . . .